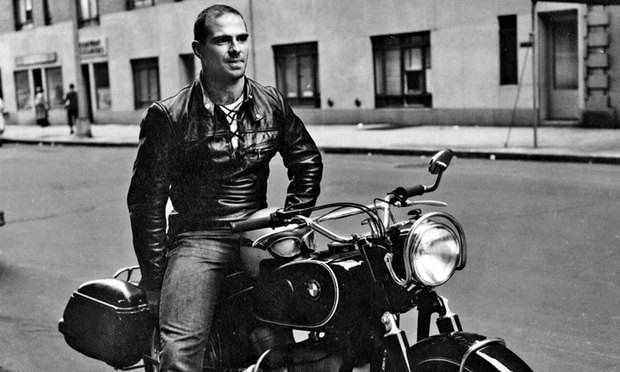 Oliver Sacks's wonderful, bracingly honest memoir "On the Move" is a must read. If you see Sacks interviewed he would strike you as a shy and diffident if intensely curious man, but one of the things that shines through the book is his occasional tendency to display "violent enthusiasms, and extreme immoderation" in all matters, whether they concerned alcohol, drugs, relationships, bodybuilding or binge eating. Fortunately for Sacks these risky experiences were instructive rather than ruinous, and they contributed to the further enrichment of what was already an immensely interesting life. One such early experience was his frenzied, alcohol-laden, impulsive attempt to win the first prize in an important college anatomy exam. "My mother, a surgeon and anatomist, while accepting that I was too clumsy to follow in her footsteps as a surgeon, expected me to at least excel in anatomy at Oxford. We dissected bodies and attended lectures and, a couple of years later, had to sit for a final anatomy exam. When the results were posted, I saw that I was ranked one from bottom in the class. I dreaded my mother’s reaction and decided that, in the circumstances, a few drinks were called for. I made my way to a favorite pub, the White Horse in Broad Street, where I drank four or five pints of hard cider – stronger than most beer and cheaper too. Rolling out of the White Horse, liquored up, I was seized by a mad and impudent idea. I would try to compensate for my abysmal performance in the anatomy finals by having a go at a very prestigious university prize – the Theodore Williams Scholarship in Human Anatomy. The exam had already started, but I lurched in, drunkenly bold, sat down at a vacant desk, and looked at the exam paper. There were seven questions to be answered; I pounced on one (“Does structural differentiation imply functional differentiation?”) and wrote nonstop for two hours on the subject, bringing in whatever zoological and botanical knowledge I could muster to flesh out the discussion. Then I left, an hour before the exam ended, ignoring the other six questions. The results were in The Times that weekend; I, Oliver Wolf Sacks, had won the prize. Everyone was dumbfounded – how could someone who had come one but last in the anatomy finals walk off with the Theodore Williams prize?" Needless to say, it may not be the best idea to assume a causal relationship between cider and success and try this in an exam venue. I am used to Pritchard's Second Law: If you're drunk and something seems like a good idea, it's not. (Pritchard's First Law is "If you're going to be stupid, you've got to be tough.") This may be a significant counterexample. I don't imagine that most people get drunk and come up with "I'll go take a test." Most people only take the tests after they sober up. I guess that's why he was Oliver Sacks. I had not heard of Pritchard's Second Law - thanks. It almost has an entropic ring to it (if you think you can create order from fermentation you will almost certainly create disorder). If you read his memoirs you will find that Sacks had almost a fearsome tolerance to extremes of substance abuse. Of course that made it even more dangerous, but somehow he escaped unscathed, and even he attributes much of this escape to pure luck. One of my friends came up with it (Ben Pritchard), hence the title. I've seen and heard about a lot of drunk people, but I hadn't heard of too many counter examples. It's better to be lucky than good, though since Sacks was both, I guess the point is moot. Thanks for that anecdote. Sacks was always one of my favorite inspirations and miss him dearly since his passing last year. He granted one of his last interviews to the Radiolab podcast team and highly recommend looking it up. Thanks for the comment. I too was quite sad when I heard about his demise and I miss his writing and presence. Fortunately he has left so much for us to ponder for a long time. I will look up the Radiolab podcast.